Tod Adams qualified as a Registered Nurse in 1984 and has worked in a broad range of hospitals from large tertiary centres and private hospitals to small remote clinics in Arnhem Land Australia. She is an endorsed Nurse Practitioner. Currently Tod is the manager of Rural Education Innovation and Learning. Her role covers the management of the Mobile Simulation Centre and the Training Support Unit which provides cultural and clinical education for health staff working with Aboriginal mothers, babies and children. Tod is passionate about patient safety through education and equity and access to high quality education for all of NSW health staff regardless of their postcode. Tod is an active board member of the Australian Society for Simulation in Health, Australian Lung Foundation – COPD and the Zonta Club of Berry. Tod lives on an acreage in Falls Creek, NSW (west of Jervis Bay). She is the 2018 jam and chutney champion Nowra Show, taking out 2 blue ribbons. Len Waters is a Kamilaroi man raised in Toomelah, a small Aboriginal mission located 20km from Goondiwindi on the Queensland/NSW border. 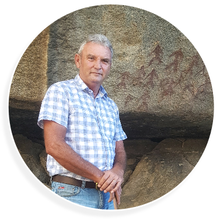 After spending 20 years of his working life in Aboriginal education within the NSW TAFE sector, Len took his passion for sharing his culture to the next level in 2016, establishing his own Cultural Tours business which he runs from Tamworth, NSW. With a promise to "take you on a spiritual journey from the ancient to the contemporary," Len Waters Aboriginal Cultural Tours provides a range of cultural experiences for schools, community groups, families, business and industry groups. From Kamilaroi language lessons, to storytelling experiences out under the stars, and major stage productions - the Len Waters Cultural Spectacular - Len is a well versed cultural practitioner. 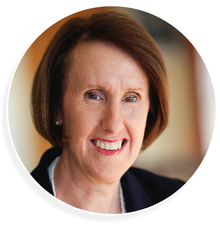 Annette is one of our State’s most senior health leaders with significant experience in areas including health management, multi-professional education, culture change, quality improvement and research. She is currently Chief Executive of the Health Education and Training Institute (HETI). 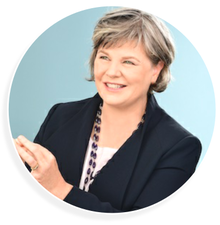 Annette is a people-oriented Chief Executive, interested and actively involved in person-centred care practices as well as leadership development to provide a person-centred approach to healthcare and a workplace culture of effectiveness - Annette sees this as foundational to a highly skilled workforce. 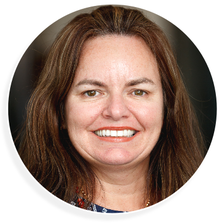 Within her role at HETI, Annette is focused on strengthening relationships with health and academic partners, and creating an innovative environment in which excellence in education and training can be delivered to support the diverse NSW Health workforce to achieve improved health outcomes across our State. 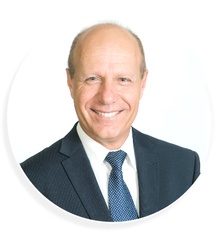 Mr Michael DiRienzo is Chief Executive of Hunter New England Local Health District and is responsible for all health services across more than 120 health facilities from major tertiary referral hospitals to rural community health centres. Following an 18-year career in Finance, Supply and Logistics in the manufacturing industry, Mr DiRienzo joined Health in 1999. He has since held various Executive Director and General Management positions throughout the Health Service. He was Executive Director Operations – Acute Networks from 2005 until his appointment to Chief Executive in 2011. 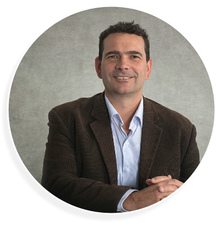 Mr DiRienzo is a board director of the Hunter Medical Research Institute and Hunter New England Central Coast Primary Health Network. As Chief Executive of Hunter New England Health, Mr DiRienzo has led the implementation of a range of initiatives that support staff to put patients at the centre of everything they do, provide patient-centred care and build a positive workplace culture. Excellence, Every Patient. Every Time is Hunter New England Health’s approach to doing the right thing for patients, their families, and by our staff. Excellence provides staff with proven tools and techniques to align goals, behaviours and processes to improve patient-centred care, and to build the capability of leaders and staff to ensure everyone is working in the best interests of patients and the organisation. Leslie Williams is the State Member for Port Macquarie and in February 2017 was appointed to the position of Parliamentary Secretary for Regional and Rural Health. She has held numerous roles in the NSW Parliament since being elected in 2011 including Chair, Committee on the Health Care Complaints Commission, Parliamentary Secretary for Renewable Energy, Minister for Early Childhood Education, Minister for Aboriginal Affairs and Assistant Minister for Education. 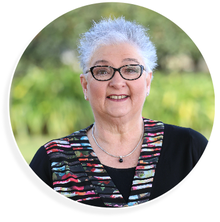 Leslie’s employment history is broad and includes working as a registered nurse at the Port Macquarie Base Hospital and a secondary school teacher with the SA Department of Education. Whilst living in Darwin she was employed by the Sudden Infant Death Association of the Northern Territory as their CEO and was a delegate to the National SIDS Council of Australia. Despite a busy schedule representing her community in State Parliament, Leslie continues to be actively involved in many community organisations including Rotary, the Hastings Business Women's Network and Bravehearts and has been a Mid North Coast Ambassador for the Cancer Council’s ‘Australia’s Biggest Morning Tea’. She was also an Executive member of the Port Macquarie Suicide Prevention Network and was a founding member of the Hastings Men's Shed. Fiona Coote grew up as a healthy young Australian girl in Manilla, north west NSW. In March 1984, at the age of 14, Fiona contracted a virus which developed into viral myocarditis. Within a month, she became Australia’s second heart transplant recipient at St.Vincent’s Hospital, lead by the late Dr Victor Chang. In January 1986, Fiona underwent a second heart transplant operation under the same medical team. Since then, Fiona has mostly enjoyed good health and a wonderful quality of life. Fiona has been involved with numerous charities, however her main focus has been the Victor Change Cardiac Research Institute, the St Vincent’s Heart-Lung Transplant Team and Donate Life. 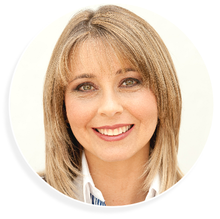 In 2012 Fiona joined the beyondblue Board of Directors. She has a strong personal interest in mental health issues and has a valuable insight into the mental health impacts on people and families, especially in cardiac and medical situations. Fiona is a Member of The Order of Australia. Professor Worley has had a distinguished career in rural health, both as a practitioner and an academic. He studied medicine at the University of Adelaide, graduating in 1984 and has worked as a Rural Generalist in rural South Australia; first at Lameroo, and then in Clare, Barmera and currently at Yankalilla. He lives in South Australia with his wife, and has seven children (including three children in-law) and five grandchildren. From 2007 - 2017 he was Dean of Medicine at Flinders University in South Australia, where he established Rural Clinical Schools and University Departments of Rural Health in both South Australia and the Northern Territory and guided the conceptualisation and development of the Northern Territory Medical Program with a clear focus on recruiting and supporting Indigenous students and staff. While at Flinders University, Professor Worley developed and nurtured programs which are now recognised globally as models for the establishment of rural medical, nursing and allied health education. Professor Christine Jorm has doctorates in neuropharmacology and sociology and practiced as an anaesthetist before moving to roles focused on improving the safety and quality of care - at unit, institutional and national levels. Her passion for achieving sustainable change in healthcare led her to research, adding academic achievements to her leadership and policy experience. In all roles, Christine has sought to identify problems, develop solutions and influence organisations. Prior to commencing with the NSW Regional Health Partners she was working with the Grattan Institute to influence national health policy, co-authoring three safety and quality reports as a visiting fellow. She has published on a broad range of safety and quality topics, health policy, medical culture and medical and interprofessional education. 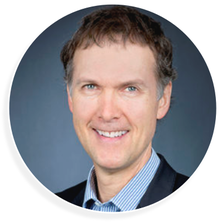 Professor Jorm has a wealth of clinical, academic and government knowledge and experience. Under Christine’s leadership the NSW Regional Health Partners is striving to change the face of research knowledge implementation in healthcare. The Centre aims to create benefits for regional, rural and remote populations living in the Hunter New England, Central Coast and Mid North Coast Local Health Districts. Christine will also contribute to the national agenda of improving health for all Australians living in regional and remote locations. For more than 25 years, Stewart Dowrick has advocated for and worked towards greater access to quality health care for communities. Appointed the Chief Executive of the Mid North Coast Local Health District in January 2011, Mr Dowrick works with the region’s clinicians and the community to provide health care through strategic and quality management. Mr Dowrick began his career in health care administration at the then Children’s Hospital at Camperdown in 1989. He moved to the Central Coast Area Health Service in 1993 and the Mid North Coast Area Health Service in 1999. Since 2000 he has held Area Health Service executive positions on Mid North Coast and North Coast Area Health Services, overseeing health projects from Taree to Tweed Heads. As Chief Executive, Stewart’s priorities for the Local Health District include overseeing a 10-year capital redevelopment program and working within a mufti-partnered approach to develop future opportunities for higher education and research in the region. Mr Dowrick holds Post and Undergraduate degrees from the University of NSW and University of Newcastle and is a Fellow of the Australian Institute of Company Directors. Mr Dowrick continues to be actively involved with a range of community and sporting activities. He was also invited in 2015 to act as Deputy Secretary, System Purchasing and Performance Division in the NSW Ministry of Health. He has taken a specific interest to improve information services and research opportunities in rural health and the Mid North Coast Local Health District is recognised as making important steps to implement a wide range of strategies towards “Closing the Gap”. He has tertiary qualifications from the University of NSW and Newcastle University, and is a ‘White Ribbon Ambassador’. 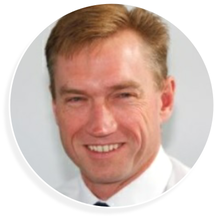 Richard Colbran is Chief Executive Officer of the NSW Rural Doctors Network (RDN). 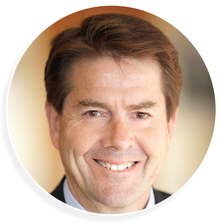 Richard is an experienced senior executive of State and National non-profit organisations. He is a strong advocate for social leadership and has a professional interest in building contemporary business practices of not-for-profits to enhance the sector’s impact and benefit for communities. Richard has a commercial background in strategy, partnerships and program management and values multi-agency and community collaborations that bring together the strengths and competencies of each partner for mutual benefit. Kevin Anderson was elected Member for Tamworth in March 2011.He is a member of the Legislative Assembly in NSW where he represents more than 55,000 people in his electorate. In the Legislative Assembly, Kevin is also the Parliamentary Secretary for Regional Roads, Maritime and Transport – assisting the Minister for Roads Freight and Maritime and the Minister for Transport. Kevin served in the Communications Branch of the Royal Australian Air Force before becoming a journalist with Prime Television and later becoming the Communications Manager with Hunter New England Area Health Service. Just prior to politics, Kevin owned and ran an advertising and marketing business in Tamworth. As a rural MP Kevin works determinedly to ensure that the region has the best and finest resources available to support our hard working front line staff in providing the necessary services to the community and to build on the growth of our regional communities. Kevin and his wife Anna have three children, William, who is a Naval Officer in Canberra, 16 year old Ella and 12 year old Sam. Born in South Sudan in 1984, one of eight children, Deng was conscripted as boy soldier at just six years old before going to war when he was only 10. Instead of playing games and singing children's songs he learnt war songs and was taught to love the death of others. He escaped the army in 1995 and arrived in Australia as a 14-year-old refugee in 1998. 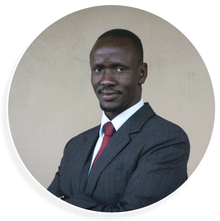 After teaching himself to read, write and speak English, Deng won a scholarship to study law at the University of Western Sydney in 2005 and graduated with a Bachelor of Law in 2010. He later obtained his Masters degree in Law at the University of Wollongong. A biomedical engineer determined to redefine the boundaries between human and technological evolution, Dr Jordan Nguyen designs a wide range of futuristic, life-changing, and intelligent technologies. His forays into the worlds of advanced technologies include projects in Biomedical Devices, Artificial Intelligence, Robotics, Cloud Computing, Virtual Reality, and Augmented Reality. 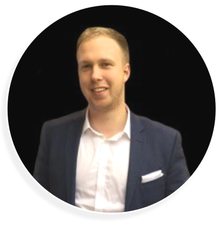 Jordan was named in create magazine's Most Innovative Engineers in 2016, and has been named in Onalytica's Top 100 Global Influencers on Virtual Reality in both 2016 and 2017, and was a NSW Finalist for Australian of the Year 2017. 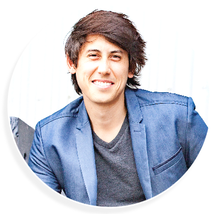 A TV documentary creator and presenter, public speaker for over a decade, and the founder of Psykinetic, a social business that creates advanced empowering and inclusive technologies, Dr Jordan Nguyen is working towards a superhuman future. Nicole Turner is a Kamilaroi woman who currently lives on the New South Wales coast near Kempsey. 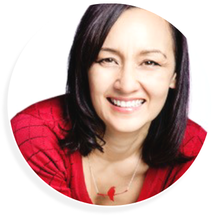 She is the current chair person for Indigenous Allied Health Australia and also Adjunct Professor of Nutrition and Dietetics at the University of Canberra. Nicole is one of very few qualified Aboriginal community nutritionists in Australia, and currently works for Hunter New England Health as the program manager of Healthy Lifestyle programs. In 2017, Nicole’s team received the Tackling Childhood Obesity NSW Premier's Award for the Aboriginal Go4fun initiative. Nicole’s passion is nutrition and living a healthy lifestyle. Professor Nicole Lee is an international leader in methamphetamine policy and practice. She is Director at Australia’s leading alcohol and other drug specialist consultancy, 360Edge, and Professor at the National Drug Research Institute, Curtin University. Nicole currently serves on the Australian National Advisory Council on Alcohol and other Drugs (ANACAD) and is Deputy Editor at the journal Drug and Alcohol Review. 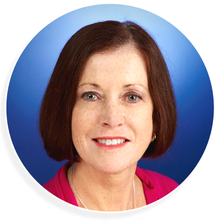 She has previously served on the boards of the Australasian Professional Society on Alcohol and other Drugs (APSAD), the Alcohol and other Drug Council of Australia (ADCA) and the Australian Association for Cognitive and Behaviour Therapy (AACBT), as National President and Chair. Professor Nicole Lee has provided advice on drug policy to international agencies, including World Health Organisation (WHO) and the United Nations Office on Drugs and Crime (UNODC), as well as International and Australian governments. She has published extensively in the alcohol and other drug area with more than 100 journal articles, books, chapters and clinical guidelines. After playing basketball at a high level with names such as Andrew Gaze, and being an incredibly fit and healthy young man with a happy-go-lucky attitude, addiction took over Jack’s life. His personality, attitude and outlook were completely altered. Over many years Jack used daily, cocktailing intravenous ice use with an array of prescription medication, marijuana and alcohol. This lead Jack to psychosis, suicide attempts, overdoses, homelessness, abuse, crime, broken relationships, malnutrition, family destruction and bitter regret. After having his life flash before his eyes whilst looking in the mirror, Jack checked in for treatment at 196cm (6’5") weighing only 64kg. He had attempted suicide only two weeks earlier and was suffering from the lingering effects of psychosis. Substances and addiction ripped away possession of Jack’s health, integrity and spirit from underneath him, robbing his parents of a son and his brother of a role model. From these experiences, Jack is extremely passionate about using the destruction of his past as his greatest asset to give the hope of freedom to people suffering with addiction, and educating the community with the sometimes confronting and shattering reality of addiction. Working at the coalface of addiction treatment with various leading addiction treatment centres in Australia, appearing on national television, regularly commenting in broadcast media and print, working with government and being in and around addiction for over a decade, he has positively impacted thousands of lives. Jack has an abundance of knowledge both personally and professionally about substances, addiction and how to turn a chaotic nightmare into a fulfilling dream. Health and the arts come together at this year’s Congress with a theatrical play about healthcare by the Hush Foundation. "What Matters" most in health care for patients, doctors, staff, cleaners, family, everyone – is kindness! Based on true stories, this new Hush Play shows how acts of kindness can have the most surprising outcomes. 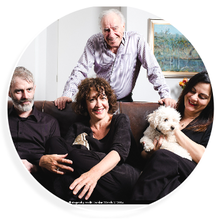 What Matters is written by Alan Hopgood AM and Dr Catherine Crock AM.